We're proud to say Angus Ashby has been awarded a fellowship with Merino SA to attend the World Merino Conference in Uruguay, in April 2018. 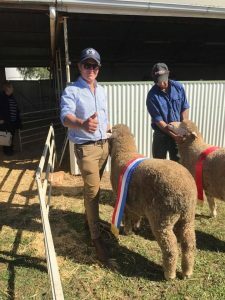 Angus will represent South Australia, bringing his experience and knowledge back to fellow Merino breeders. He will be speaking at the National Merino Challenge in Adelaide following the trip. World Federation Merino President, Tom Ashby will also attend the World Merino Conference.